Brown rice is a nutritious whole-grain food with a mild, somewhat nutty flavor. It is an inexpensive staple and one that has long been a recommended single-grain ingredient for children beginning to transition to solid foods. Comparatively speaking, you'll get much more for your money if you prepare your own rice cereal than if you purchase manufactured infant cereals. Ever wonder what the difference is between brown rice and white rice? The short answer is processing and nutritional value. Brown rice is harvested when the husk is removed from the rice plant. White rice is further processed by taking the brown rice grain and removing the bran layer and the germ. This step also removes some vitamins, minerals, fatty acids, and fiber as well. Absence of tongue thrust, a reflex that when something is placed in her mouth she pushes her tongue out. If she's going to swallow food, it is essential that this reflex is gone. Solid head and neck control. She needs to be able to turn her head away so that she can communicate with you that she is full. She also needs to be strong enough to support the weight of her own head. Can sit up independently fairly well. Has doubled her birth weight (though this is not a "magic" moment either that indicates that she is ready for solids). You can easily make your own rice cereal. Simply grind the grains into a fine rice powder using a clean coffee grinder or food processor. 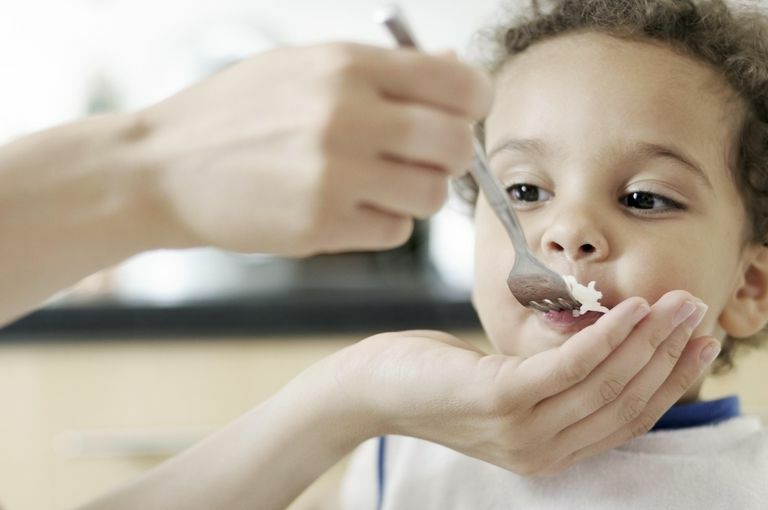 Be sure to follow basic tips for starting solids. What Should You Eat When You're Breastfeeding? Should You Start Your Baby on Cereal? When Can Babies Have Fish? Is Fish Safe for Babies? How Can Avocados Help Baby Development? When Is It OK to Give a Baby Cheese? What Are the Most Common Food Allergies for Babies?